(EVEN IF YOU HAVE INJURIES). 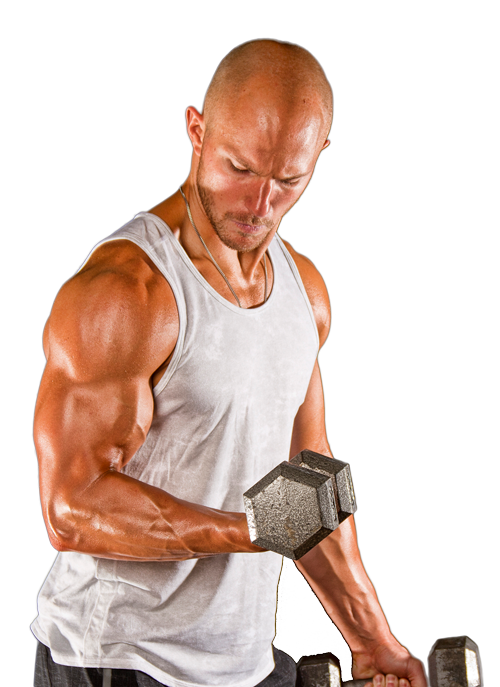 It’s one of the hottest terms in fitness today, injury prevention. With the increasing incidence of injuries across the board in both our fitness and sports performance industries came the rise of the phrase “injury prevention” and with it, the popularity of specific training and therapy programs aimed to combat our current day injury epidemic. While on the surface, tapering training protocols and methods with the goal of minimizing the risks of training and sport related injuries seem completely warranted. 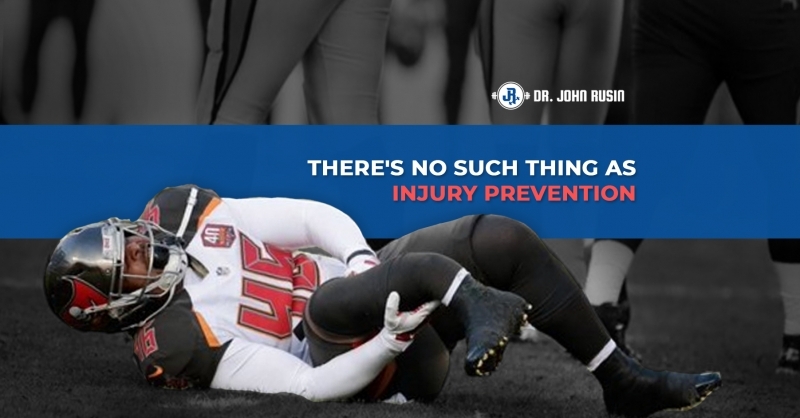 But the truth is a majority of these specialty injury prevention programs have showed no significant results in terms of mitigating injuries from occurring, while many have actually caused more injuries than they have ever helped prevent. What we are doing as an industry isn’t working, and the disconcerting endeavor, which is training solely for injury prevention, has left many professionals in the field triggered and desensitized to this faulty system. And now, more than ever, athletes and coaches alike have developed a dysfunctional relationship with the way they view pain, injuries and performance. One of the most common forms of misguided injury prevention logic is the simplistic way in which “injury prevention” is defined. The inferring expectations of what constitutes prevention too far too rigid, setting otherwise success based actions up for failure. Either someone is healthy, or they are injured. Either they are ready to compete in the Olympics or they need to undergo surgery. The form and function of the human body is not that black and white. These types of absolutist thought processes surrounding pain and injuries leave little to no room to conceptualize the more complex beast, which is the presence of pain manifesting as injuries inside the gym and out. There’s no such thing as injury prevention. We cannot prevent 100% of injuries from occurring, nor is it practical to expect or promise such as fitness or healthcare professionals. Instead, we need to reshape the way our industry views training as a mode for improving resilience against injuries. This starts with objectifying key metrics associated with true resilience against pain and injuries. So the question remains, how do we definitively know we are helping our clients and athletes mitigate the risk of pain and injuries through training? We would never continue squatting or deadlifting an athlete if they became progressively weaker, so why would we continue using the same injury prevention methods in training if our athletes are continuing to get hurt at higher rates? Here are the 4 synergistic areas of injury resiliency that I use as key performance indicators for my athletes and clients to objectify success in training with the goals of improving performance and mitigating the risk of injuries in sport, and in daily life. Each of these 4 domains are strategically placed in order of progression towards ultimate pain-free self sufficiency, but ALL have an interplaying relationship in the long term health, wellness and performance of your clients and athletes. The first way in which we can redefine the term injury resilience is by reducing the frequency of injuries across a specific time period. Many people still associate pain and injury as an all or nothing phenomenon, so reducing the number of times a pain or injury problem occurs is not only advantageous on a physical level, but also an emotional and psychological level. Reducing frequency of injuries may look like taking a general fitness client from five bouts of lower back flare-ups to two over a year’s time. It could also be measured through a more specific training block for athlete and client management such as a 12-week off season training program, an 8-week pre-season preparatory block or a 5-month in season maintenance plan. With a clearer vision of the means, methods and modalities that are utilized within each time frame studied, we can start to collect more significant data points to connect the dots on which aspects of athlete management are yielding positive outcomes, and which may need upgrading that may be showing no change or a negative return in terms of the frequency of flare ups and injuries occurring. The more injuries that occur, especially re-injuries to the same structure or region of the body, the more physical and emotional stress get attributed to the “hurt state” which can compound over time and make it more difficult to rebuild long term resiliency. That’s why frequency is the first, and arguably the most important aspect of resiliency that creates the foundation of the injury prevention pyramid. Pain is one of the single most subjective fundamental physiological responses in the world, making its presence highly personalized to the individual presentation. When you mix pain with human movement, another extremely unique physical characteristic, you have the profession of training and rehabilitation. While the numerical pain rating scale (NPRS) that gains subjective self-reporting of perceived severity of pain on a 0-10 basis has become the gold standard data collection system across our medical systems, severity of injuries, especially with a functional injury resilience goal needs to be more accurately defined. When used for acute pain, the NPRS can be a great red flag sign measure of key next steps in the process to ensure proper actions are taken according to the severity of an injury upon acute onset. But once a client or patient leaves the initial stage of acute injury, this scale loses its efficacy for being a functional indicator of return to activity scenarios. This is why the action of moving away from subjective pain scales to measure more short and long-term severity is warranted. In order to more accurately associate severity with my athletes and clients, I look at the number of days of inactivity as our quantifiable measure for rebuilding resilience with an injury prevention mindset. A day of inactivity can be clearly defined by a person not being able to participate in normal recreational, training, rehabilitation or sporting activities at any capacity. A day of inactivity is simply a forced 100% rest day in which no programmed physical activity, including structured rehabilitation, can be completed. An example of this may be sustaining a lower back injury deadlifting on Monday, and not being able to return to any type of training program, nor tolerate a physical therapy examination until Friday, as three days of inactivity. Using the same type of injury as a second example, if someone sustains a lower back injury deadlifting on Monday, but returns to the gym on Tuesday and is able to bench press and modify their program accordingly without exacerbating the current injury, that would be zero days of inactivity for minimal severity on our scale. Our goal for this level on the prevention pyramid is to reactivate our clients and athletes as soon as possible into structured physical management, whether that be training in the gym using pain to guide exercise selection, or moving into physical therapy as quickly as possible in order to spark the recovery process. But don’t get the metric of severity confused with return to train and play scenarios. As soon as someone is able to return into some form of structured physical activity once again, whether that’s concentrating on upper body strength training and undergoing physical therapy for the example above, they are no longer “inactive” but rather, move onto the next key injury prevention metric which is the time table of returning to previous level of function via activity participation. Return to play time tables have become a highly debated topic in the field of sports performance rehabilitation in the last decade. With the current day epidemic of lower back, shoulder and knee injuries occurring across a broad scope of physical landscapes here in North America, the literally billion dollar question remains, when should someone return back to their previous activities in order to perform at a high level while not being at an increased risk for a reinjury to the site? It’s important to understand that the management of pain and injuries is a big business with many different co-factors going into why and how a client or athlete would be cleared to return to their previous level of activities. It’s not as simple as the “No pain? Return to train!” mentality that is all too common in our industry. From insurance companies dehumanizing the patient management process with hand tying guidelines as to how many sessions and what type of therapeutic modalities they will pay for, to surgeons using return to play times as ways to boost ego and professional credibility instead of protecting the functional long term interests of their patients. From parental pressures of early-specialized youth sports to the competitive need and want of athletes to return to their beloved activity at all costs, there are many moving parts in this process. While a key injury prevention performance indicator still remains minimizing the time between onset of injury and returning to training, sport or functional activity at full capacity, this is the one level of the injury prevention pyramid where at times, quicker return to train and sport is not necessarily optimal, especially for long term health, wellness, function and performance. One of the driving reasons why broad scoped return to play and train guidelines are so tough to quantify, and many times just blatantly incorrect, is due to not all patient and client management being the same, and not every client presenting the same, even for those who have similar pain presentations and injuries. From the surgical table to the treatment table, the various aspects of medicine are NOT brands and are not all created equally. Your surgical suite success to your post injury physical therapy management, even if it’s self directed, is simply only as effective as the level of professional you are working with. While time may heal all, time does not account for strengthening exacerbating functional weak links that must be addressed in order to help prevent injuries from reoccurring. And those factors are most likely the reason for the initial injury in the first place. We need to be smarter than to think that pain and dysfunction can simply be cut out of the body, or optimally managed with ice packs, ultrasound and e-stim. So while minimizing time from injury to return to train is the goal, complete recovery to the previous level of function needs to be the focus at a minimum. And preferably at a maximum and new standard in our industry, if we want to start making a dent in the injury epidemic which we are currently experiencing, the goal of return to train and/or play should occur with functional weak links having been addressed, strengthened and reprogrammed into movement capabilities in order to keep from picking the scab of the chronic reinjury cycle. While the first three lower levels of the injury prevention pyramid will define short-term success in rebuilding resiliency against pain and injuries, the top level of the pyramid has a more long-term focus for unlocking the potential for a truly pain-free lifestyle. This apex represents mastery of one’s own body. The key data metric that we derive in this final level of the injury prevention pyramid is how someone can minimize their use of external treatment and professional management through pain and injuries, and become more self-sufficient and autonomous in the effective management of their own pain and injuries. This can be quantified through the amount of hours that are invested in direct therapeutic management for recovering from pain and/or injury. Becoming more self-sufficient with your own recovery process, and more importantly, possessing the knowledge and tool set to maintain your body’s health and wellness with pure autonomy on a daily basis cannot be overlooked in terms of importance for overall resiliency. Your body is truly the only thing that you own in this world. 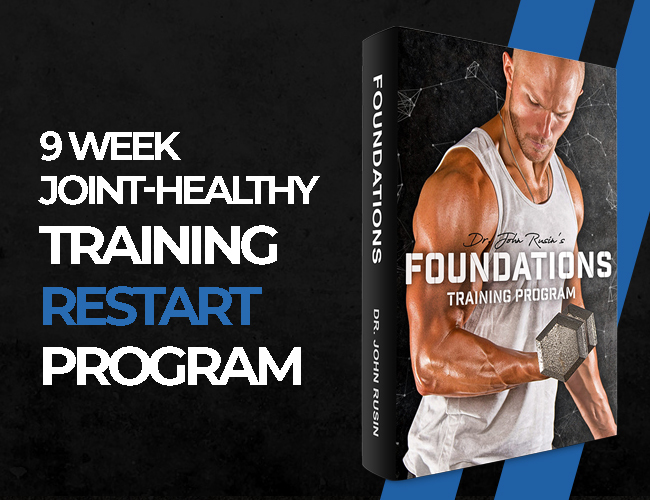 You will own it until the day you die, so it’s imperative that you make it a point to learn as much about how your body functions, how it responds to different training styles, therapy modalities, nutritional protocols, stress stimuli and beyond. You are your first, and most important client. And you will be your own client for life. And different from all others, you can feel and experience things exponentially more than even the magical handed doctor or manual therapist ever could. Our goal for every move we make should be to learn something about our bodies to continue to compile data in the study of your own body. The most important type of study where the subject line reads N=1. There will, of course, be times and places where it’s necessary to seek out medical and fitness professionals to fine tune the self-management of your own body, but we must prioritize active based treatment, training and modalities over passive, as the goal is to learn a new skill and be able to apply that skill for as long as you live. If you aren’t learning it, it will be impossible to live it. The special thing about becoming self-sufficient, physically autonomous and mindful of your own body at a master’s level on the top of the injury prevention pyramid is that it’s an ever-growing process of changes and evolutions of ones needs and wants. Just because something works today doesn’t mean it will work forever. But find those key elements of a mindful movement practice, and it will serve you and your body for the rest of your life. Now that’s how you achieve pain-free longevity at the highest level. 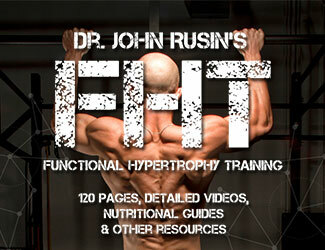 Dr. John Rusin is an internationally recognized coach, physical therapist, speaker, and sports performance expert. 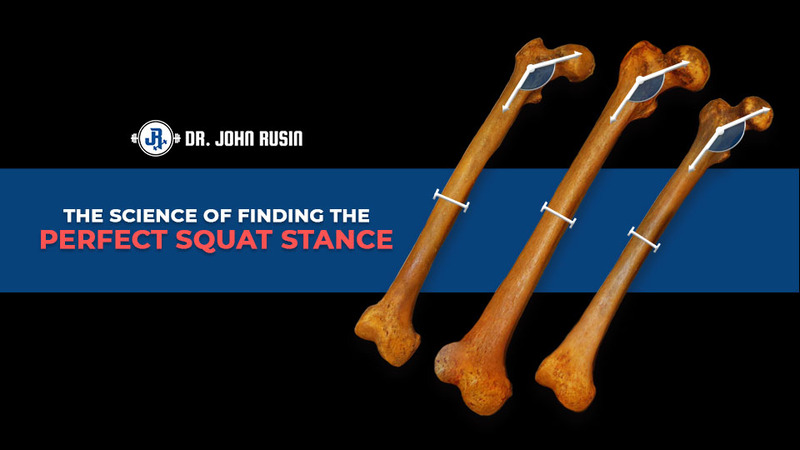 Dr. John has coached some of the world’s most elite athletes, including multiple Gold Medalist Olympians, NFL All-Pros, MLB All-Stars, Professional Bodybuilders, World-Record Holding Powerlifters, National Level Olympic Lifters and All-World IronMan Triathletes. 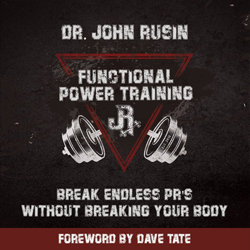 Dr. Rusin is the leading pioneer in the fitness and sports performance industries in intelligent pain-free performance programming that achieves world class results while preventing injuries in the process. 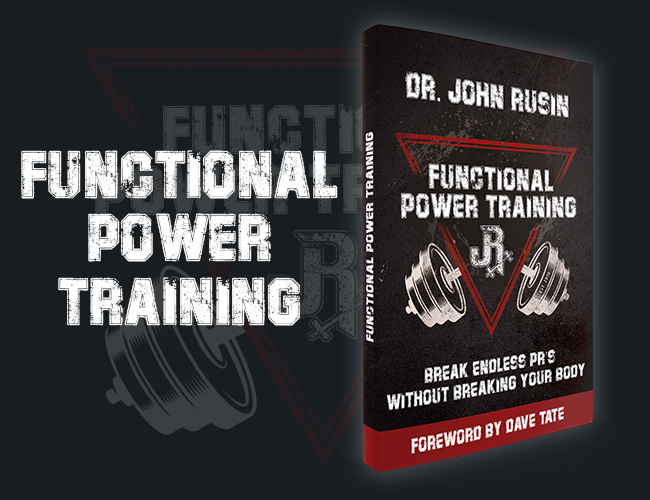 Dr. John’s methods are showcased in his best selling Functional Hypertrophy Training Program that combines the best from athletic performance training, powerlifting, bodybuilding and preventative therapy to produce world-class results without pain and injuries. I’m not sure any therapist considers injury prevention an absolute fix. Ive been a PT nearly 20 years, regularly managing athletes and their injuries. Among the many goals is the minimizing of recurrence and preparing the client for upcoming challenges of their activity, but at no time do i expect a risk free environment. It’s sport, competition, external environments, chance. The idea is empowering the individual with the tools, physical, mental, and instinctual, for the rigors of their activity of choice. There are double blinded studies demonstrating a significant DECREASE in incidence of repeat injury. There’s always room for improvement, and we should continue to improve interventions.